A major concern when it comes to having guests in my home is it's first impression. When someone walks in I want my house to be warm, friendly and most importantly smelling fresh ! I always sprits down my couches before guests come over with my favorite Febreze Fabric Refresher in Meadow & Rain. Have you ever walked into your house after from being away for awhile and just thought dang, what it that smell ? Trust me, it has happened to the best of us. Sometimes we just become Noseblind to the fragrances around us. Which is exactly why I have become an avid Febreze user. My cupboard is always stocked with backups of my favorite Febreze products such as their Candles , Fabric Refresher and Air Effects. I actually think I own a bottle of Air Effects in every fragrance available! Yeaaa I may be a little obsessed with them. They are amazing! 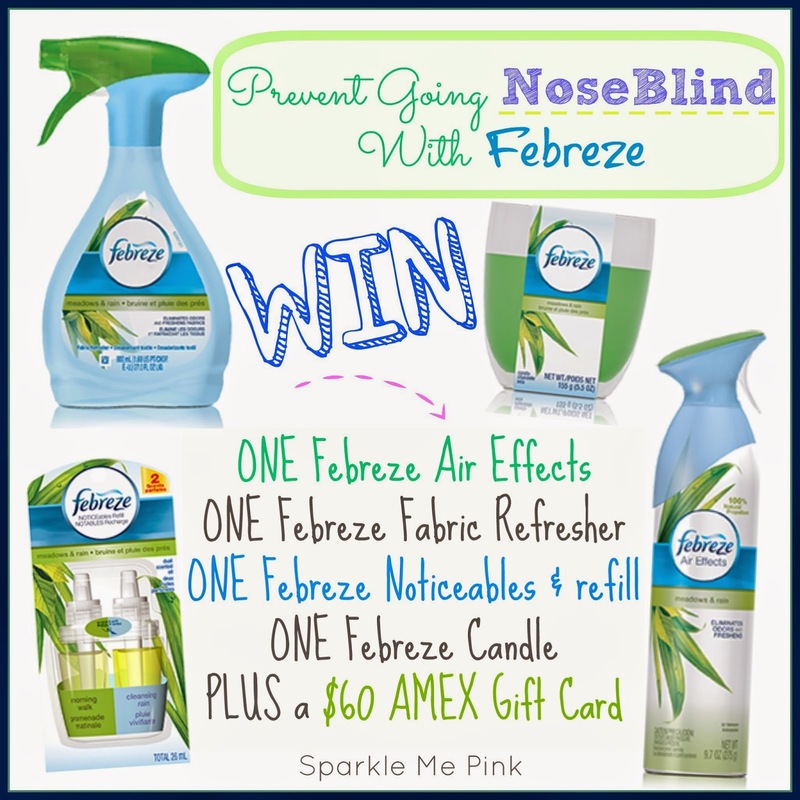 What are your favorite Febreze products ? A perfect example of Noseblindness happened the other night. I had a few girlfriends over to watch 'The Bachelorette'. We sipped wine, I popped some extra buttery popcorn and we giggled about the show together. Now we all know that popcorn is one of those scents that just lingers. However, towards the end of the show none of us could really smell the popcorn scent anymore and didn't think much of it. We didn't know it but we were Noseblind. Since it was a gorgeous evening we decided to sit on the back patio for a bit while finishing up our wine. Then to our surprise upon reentering the house the fragrance of popcorn was very much still there. I sprayed a bit of Air Effects around and spritzed a few squirts of Fabric Refresher on the couch which almost instantly squashed the lingering pesky popcorn smell for good! Little science fact : Febreze products have a molecule in it called Cyclodextrin. This is what traps and eliminates nasty odors, leaving behind a cleaner, fresher aroma. Don't become a victim of Noseblindness this Summer. Pick up some Febreze products the next time your at the store. I love the Febreze Air Effects Nectar. I like fruit scents or lavender. I really to change scents frequently. I like the air effects in Hawaiian Breeze. My fave product is the FreshAir Effect! I have used the Febreze Air Effects for years! The spray really gives my house a nice clean scent. My favorite scent is Sweet Petal Passion. I love using Febreze plug ins. My favorite scent is Linens & Sky. I love using them in the bathroom and bedroom. We love the cinnamon one! My Favorite Febreze Product Is The Fabric Refresher Pet Odor Eliminator! I love just about every scent they have, but I'm really into the "blue" scents. My favorite of the Febreeze scents is Meadows and Rain. The Air Effects and candles are great and they really do help neutralize the odors in the house. We love their scent Sunflowers and Sunshine! Corny name but our favorite by far! I love vanilla lavender and the sunflower one too. I like Febreze Air Effects Citrus and Zest scent. They have a limited edition pine spray that they put out around the winter holidays that I love. I have only tried Febreze Air Effects and love it. Rain is a wonderful scent. I like "Rain"---very fresh. I think I would also like Lavender. I like a lot of them but fresh linen is wonderful! My favorite are Febreze Scented Wax Melts Mediterranean Lavender Scent. I love the Air Effects. I like the Febreze Air Effects Vanilla & Moonlight. I have totally been noseblind before!! Such a funny term, but so accurate haha. Also, I loooooove Febreze! My favorite Febreze product is the noticeable plugins and my fav scent is the Hawaiian aloha. I like Febreze Air Effects Sweet Pea Petals. I like Febreze Air Effects either the linen or rain scent. My favorite is the Fabric Refresher for furniture. I like the Air Effects Rain. I could use this with all my pets! I love the Linen and Rain scents. All of Febreze product scents are excellent; however, my favorite is the original scent. My second favorite scent would be the Vanilla. I really like the Air Effects in Hawaiian Breeze. I love the Frebreeze Candles. I have tried other brands but these are the best. My favorite is the Fabric Refresher. 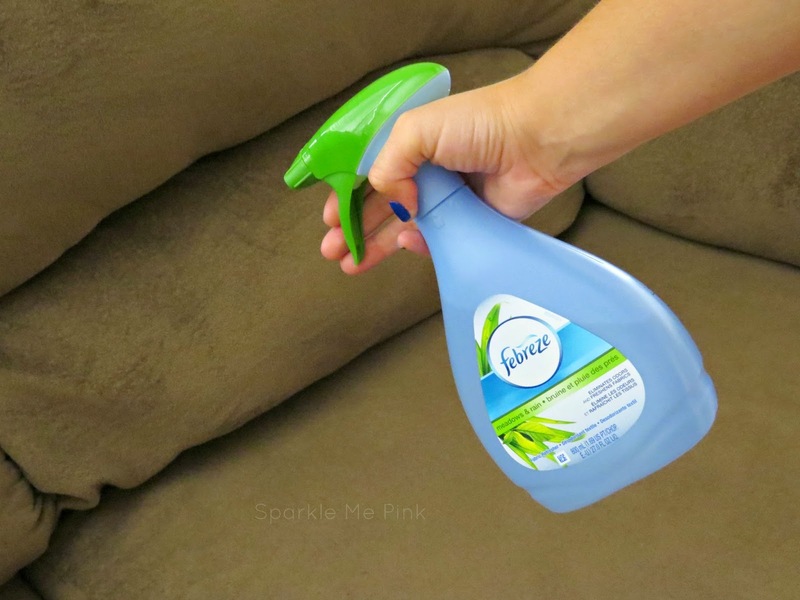 I love the Febreze Fabric Refresher, works great on my furniture to freshen things up. I like the Fabric Refresher in the Wildflower scent. My favorite Febreze scents are Linen and Rain. I like the Febreeze Candles, especially the Meadows and Rain scent! My two favorite scents in the Febreze line are Linen and Sky and Rain. I like a lot of them but fresh linen is great. One of my favorite products is the Febreze Car Vent Clips. One of my favorite scents is the original scent. I love the Thai Dragon Fruit scented candle. These just make the house smell heavenly. My favorite scents are Linen and Rain. I really love the Febreze Set and Refresh in Thai Dragonfruit. I like Febreeze Air Effects Linen & Sky, it smells so nice. Another scent I like is the Meadows and Rain scent. It's a clean fresh smell - not flowery. I also love the Air Effects in the Sweet Pea Petals scent. This stuff is a lifesaver for sure. 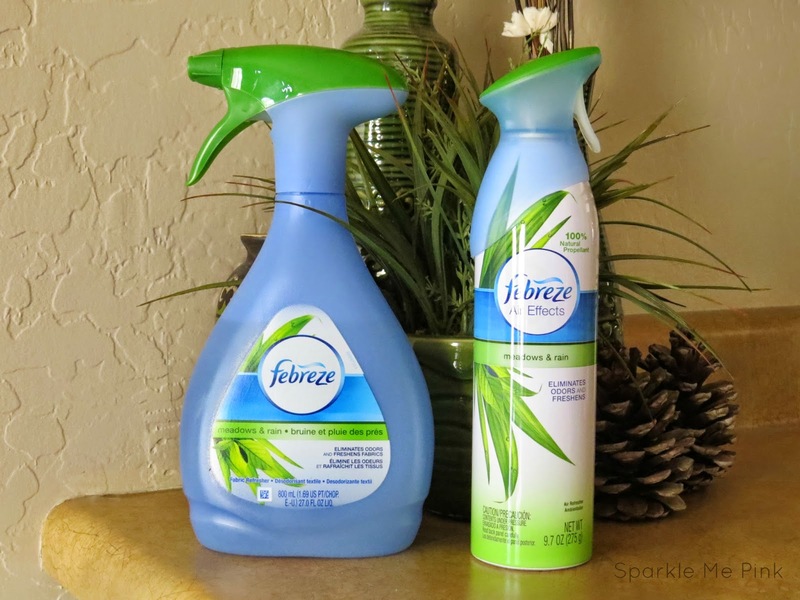 I really like the Febreze Linen and Rain scents as they are very fresh and clean smelling. I really like the Febreze Air Effects Vanilla & Moonlight. I like the Fabric Refresher. The Febreze candles are one of my favorites. I like the air effects in Hawaiian Aloha. I love Febreze fabric refresher! It's great with the kids and pets. I like the quiet jasmine Air Effects! my favorite product is the fresh air effects. they work so well and i love all the scents. The candles work really well as well. All Febreze products are truly great and also a good value, but the candles are above and beyond. My favorite scents are Rain and Linen. I like Air Effects rain scent.